Pokemon Sun and Moon HYPE! Since the thread for the second movie was posted around 3 years before it actually came out, it's now around 3 years until the third movie. So time for a thread for news etc about this. February 8, 2015 - Megan Collison, president of Worldwide distribution at Paramount said that the possibility of a third movie was a good bet. April 30, 2015 - Vicaom officially announces a third movie. August 3, 2015 - Vincent Waller confirmed that the sequel was in pre-production and Paul Tibbitt will direct with a story by him and Kyle McCulloch. August 17, 2015 - Vincent Waller tweets that Ruben Hickman is helping out with preliminary movie developments and with the same group of producers -- Cale Boyter, Mary Parent, and Craig Sost. November 10, 2015 - The movie is announced to be released on February 8, 2019. November 11, 2015 - Vincent Waller confirms that the sequel will be mostly 2D. January 29, 2016 - SOOW writers Jonathan Aibel and Glenn Berger reveal they are working on the third movie. April 20, 2016 - SOOW Scorer John Debney has been supposedly confirmed to score the third movie. July 12, 2016 - Ren & Stimpy short confirmed to be shown before the third movie. March 28, 2017 - The movie has been pushed back to August 2, 2019. December 19, 2017 - Paramount announces the third movie to release on July 31, 2020 instead of August 2, 2019. April 25, 2018- Movie confirmed for July 22, 2020 release date. 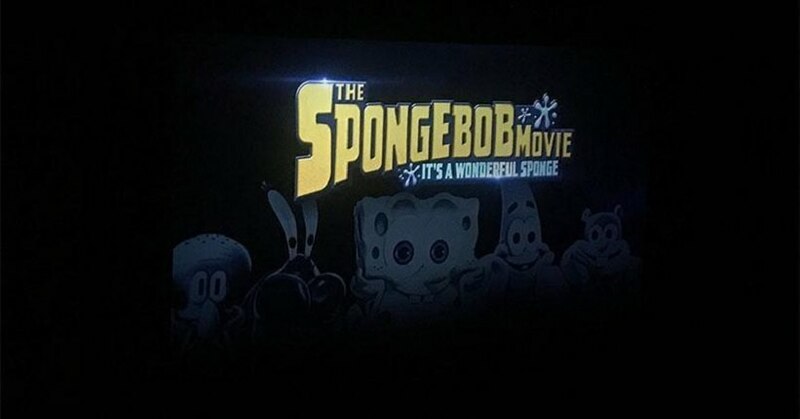 Titled "The SpongeBob Movie: It's a Wonderful Sponge"
May 20, 2018 - Vincent Waller tweets Aaron Springer is the head of story and Zeus Cervas is helping with the boarding. July 24, 2018 - Movie moved up to July 17, 2020 release date. July 25, 2018 - Mikros Animation tweets that they are helping with the third movie and are recruiting. October 23, 2018 - Mireille Soria confirmed that the third movie will be an origin story. October 23, 2018 - Hans Zimmer is the film composer. If I have missed anything so far, please tell me. Only just over 3 years to wait now! Wait... this has ALREADY been confirmed??? I'm pretty mixed about the idea of a third movie. Of course I'll watch it when it comes out and hopefully it will be great, or even better. But at this point, it seems like they just make it to earn money instead of making it for dedication. I may have liked the first 2 movies, but even if the third one is good or better, I don't really think it's a good idea to have another one so early. What if it will be hated even more than SOOW? Ugh, I don't even want to think about it ._. Welcome to the movie industry nowadays...why not make it a TV movie or straight to DVD? Then it wouldn't matter how good it is. Theatrical means it will have a bigger budget, and it will make more money. In my opinion, it's to soon, SOOW is just sinking into some of the fanatics of SBSP. And for someone to immediately announce another movie is...weird. I mean sure, Star Wars, Hunger Games, etc. announce them, but they are PLANNED trilogies, the Spongebob movies haven't showed any relevance to each other, and showing no continuation of anything (but all SpongeBob is like that), and the third move just seems, rushed. And it's obvious that Viacom wants money. The other problem is, what if SpongeBob ends after Season 10? Are they going to make another 3-4 year season just to make the movie popular? I'm very skeptical, especially due to the fact I'll be a freshman in college when this comes out, so I doubt I'll see it. I'm not entirely sure how i feel about this, i felt this would work as straight to DVD than just being in theaters. Otherwise, we'll see. I'll need to get a plot before I make a judgment, I liked the first two movies but I am worried it will be a copied going to land story. Meh, I can take it or leave it. Waaay too soon, man. A lot of the fans were excited to see the second movie because it's been 11 years since they saw the first. Yay! There will be a third movie! I'm worried that this is going to be a direct sequel to SOOW, which I REALLY don't want. I would rather (since they just HAVE to make a 3rd movie) they made this it's own thing separate from both of the first two movies. And PLEASE no more super heroes, talking seagulls, or rap battles for crying out loud!!!!!! I'm honestly not too optimistic about this but I'll have to wait and see how it turns out. I wonder how it will do at the box office. I think releasing it in February again is a good idea, as it shouldn't have too much competition. Though, Captain Marvel is released a month later. Dont worry, I'm not.....that guy. I'm saying since they didn't want SOOW to have any connection with the first movie, then this one should be its own thing too. A direct sequel to SOOW most likely wouldn't work, and a direct sequel to the first movie isn't going to happen. I'm already expecting this to turn out badly, it's going to be really hard to get a quality movie if it's gonna be milked this soon. Hmm hmm here comes the butthurts.